Our second quarter 2018 was rich in communication events and sharing. A lot of fun for all our team to share our film “New-Caledonia, Mother of Coral sea” which features the Manta as the Ambassadors of the reef and present Hugo’s work for the Manta initiative. This movie has been a great platform to communicate about the importance of Manta conservation and a good opportunity to launch our new Facebook platform and involve more people with us ! And it is working since we’re receiving always more photo-ID’s contributions from new people all the time. 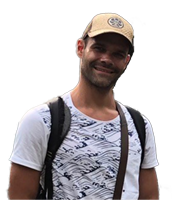 The organization of the field work is making good progress but field operations have been a little bit delayed due to logistic issues but Hugo our PhD student is more than ever ready for some heavy fieldwork the second half of this year. Meanwhile, our Master 2 intern Solvene completed her internship revealing outstanding relationship between environmental factors and Manta behaviors. She graduated as major of her promotion. And we just released our Third Newscast report ! With the presence of the Manta initiative over the local and social medias as well as our participation to public events over the last few month, more people got the opportunity to get informed about Mantas and learn how to help the initiative. The number off contributors kept growing and reach now a total of a 100. At the end of the month of June, 283 Manta individuals where identified which is 32 new Manta from the last time we updated you. Solvene our Master 2 intern just completed her internship with us. For the last 6 month she’s been studying external factors such as tide, currents, visibility, wind, rains, lights, depth etc… on the presence/absence and vide behaviour of Manta. She figured out that during the time of our survey, Manta absence from a site will be related to high tides, inward currents (from the ocean to the lagoon) or West winds. Large abundances of manta on a site would be related to low tide with average to strong outcoming currents (from within the lagoon to the ocean). 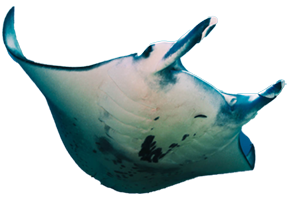 Similar studies in the world suggest that the presence of Manta are usually related to the availability in plankton and some specific environmental condition may certainly influence that ! 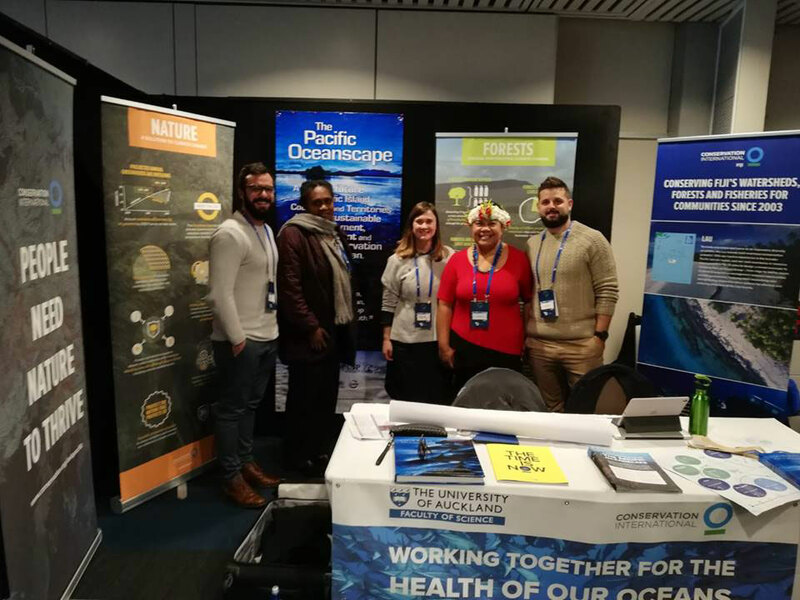 Hugo participated to the lates Society of Conservation Biology Oceanian congress in June 2018 in Wellington NZ. A great opportunity for him to present our latest result but also to make contacts and gather information on Genetic analysis and potential collaborations with labs. Contacts where made with the Genetic Lab team at the University of Auckland. The movie “New-Caledonia, Mother of Coral sea” was released in early May. Fifteen magical minutes of amazing images, outstanding views and beautiful interviews of people with a strong link to their nature. The first release was done in the tribe of Mouli, Ouvea island, at the end of the “Education and Family” festival that was held over two days. 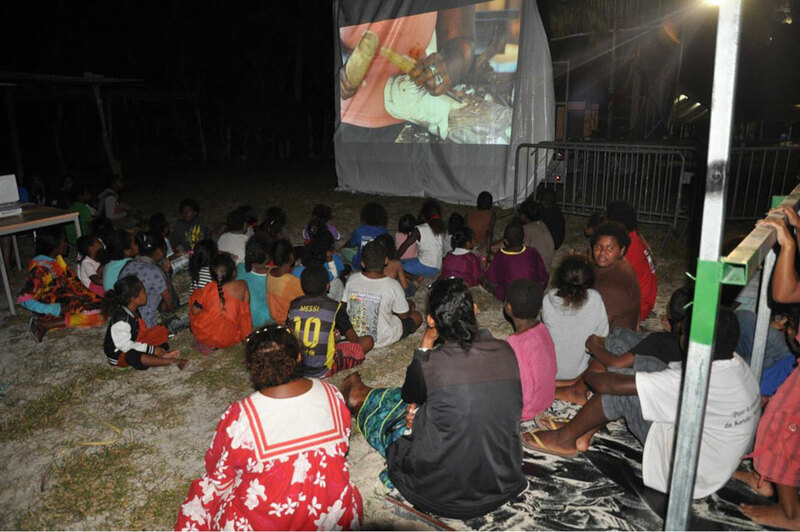 The projection was an open air cinema were more than 100 people gathered in the grass, on the nearby beach, and around the screen to re-connect with this world they now and laugh from familiar faces they recognized in the film. A great moment that Hugo prolonged the next week in junior Highschool classes. USB keys with the movie and pictures were distributed. 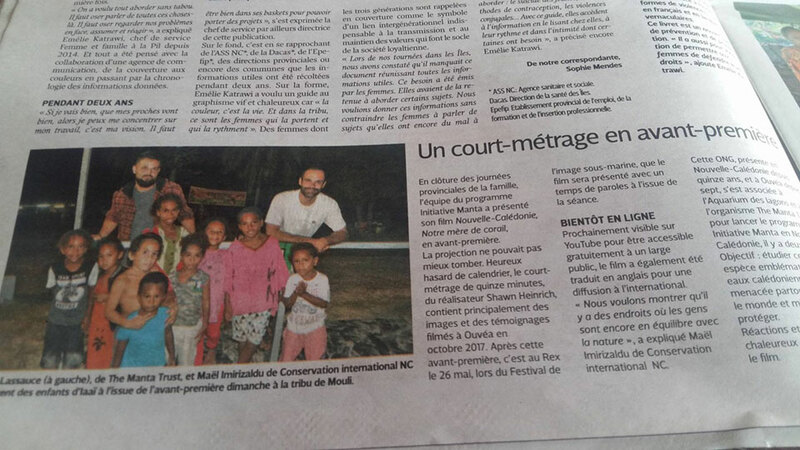 The movie was then feature at the New-Caledonia underwater film festival for 2 projections and a 15min talk at the end that gather almost 300 people. Local newspaper and TV news relayed our work as well on a few occasions. Meanwhile, the Aquarium the Lagon, partner of the Manta NC Initiative, just closed the annual Exhibition on Sharks and Rays that features the Manta initiative. It was again a great opportunity for all of us to learn more and exchange on our favourite species ! A great event that run over 3 month and drag a lot of locals and tourist days and even at nights during our Late-Night openings. Lastly we participated to the World Ocean Day organized by the Pew foundation. An event organized on a local MPA island with more than 1000 visitors over the 2 days. The next couple of month will keep us busy as always ! 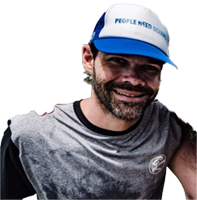 With the support of the Aquarium des Lagons and the University of New-Caledonia, Hugo will be deploying Go-Pros, flying his Drone and try to dart some Manta for some genetic samplings. We will go back to Touho on the east coast, ouvea for sure and will focus first on the sites on the South-West part of the Lagoon. This, the first formal PhD committee meetings and the development of partnership with lab units for genetics will take most of our energy for the next month coming and hopefully we will soon be able to feed you with nice stories from the field.